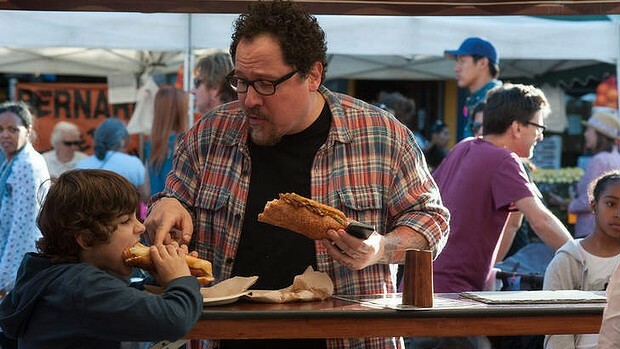 Starring: Jon Favreau (Iron Man), John Leguizamo (Ice Age), Sofia Vergara (Machete Kills) and more. Directed by: Jon Favreau (Elf, Cowboys and Aliens). Rating: R for language and suggestive material. Must-Watch Trailer: SORRY: No Trailer! 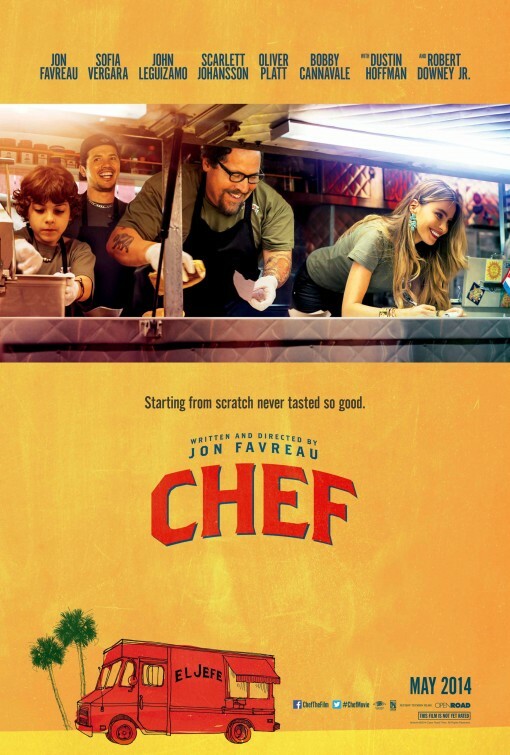 Chef -written by, directed by and starring Jon Favreau- serves audiences a delectable dish of sentiment, self-worth, and sass with a dash of salt…and maybe a little bit of paprika. This comedy stirs up emotions and cooks up several laughs along the way with its well-blended mix of characters, cast, story, jokes and just tons and tons of amazing food. Follow Chef Carl Casper on this amazing road trip of life with plenty of stops along the way that teach him…and the audiences he serves…a little more about family, friends, feelings and the pursuit of good food. When Chef Carl Casper gives LA’s most prestigious critic some food for thought to chew on, he then embarks on a journey to find the happiness he has been seeking. 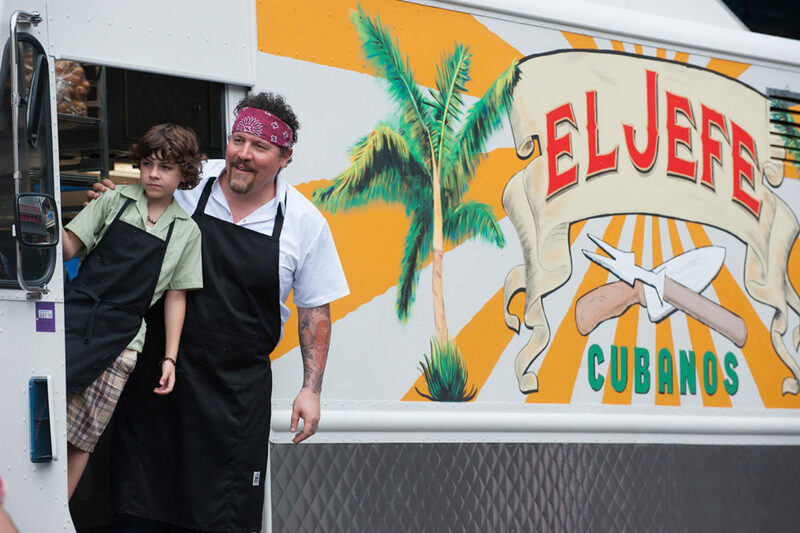 Finding freedom of expression and expectations through food, Chef also finds family value on a trip to savory self-redemption from being a not-so-present father and single-minded drone. Two points of this film that may not get as much laud as they deserve: Cast & Cinematography. CAST: The cast is both full and fun and not any one person overpowers the film. 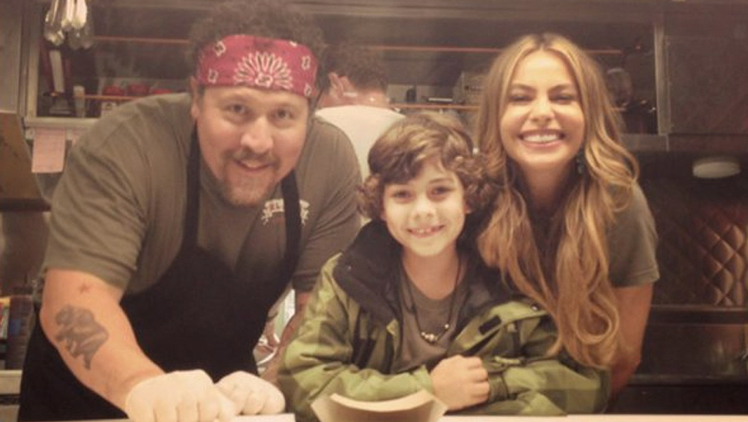 From Favreau’s Avenger friends to Modern Family‘s Sofia Vergara to the talented young Emjay Anthony…the entire cast works very well together to keep this film well grounded and grilled to perfection! They were real…and really good. I bet it always smelled tasty on set! What it all boils down to is this: Favreau proves he has the skillet takes to be one of the best cinematic storytellers of our time if he keeps it up. I was very impressed by this film and was ready to go back for seconds (and no, not just because Scarlett Johansson is in it!). Chef leaves you full and if the amount of amazing food of the film doesn’t keep your interest, the feel of the film definitely will. Is it predictable? Sure. Almost from the very beginning…and even MORE so if you watched the trailer (perhaps my only minor complaint). But is it purposeful and pleasing? Absolutely. A family film for adults (as the language use far exceeds the level intended for younger ears) it will leave you full and feeling great. It’s film you’ve got to get a taste of and enjoy. If it happens to be on the menu of a theater near you, then pick this delight. The portion is just right and applaud you just might! Such a lovely movie, which is mostly thanks to Favreau and his whole ensemble just being as charming as they could possibly be. Especially him. Good review T.
It looks like there is a solid summer “Date Night”, or any night film this year with ‘Chef’! I became of fan of Favreau while he was hosting IFC’s (Independent Film Company’s) superb after dinner trade talk and “war stories” series ‘Dinner for Five’. And later, admired his directing chops with ‘Zathura’ and ‘Iron Man’. The film has the look and feel of an indie. Under the touch of a director who knows how to get the most and more from all involved! Good stuff all the way around! It is coming here as well! But a friend of mine sent me a screener. I think i will go with seeing it on the big screen instead. Looking forward to that as well! Great review and i like the presentation most, really good work..